1. 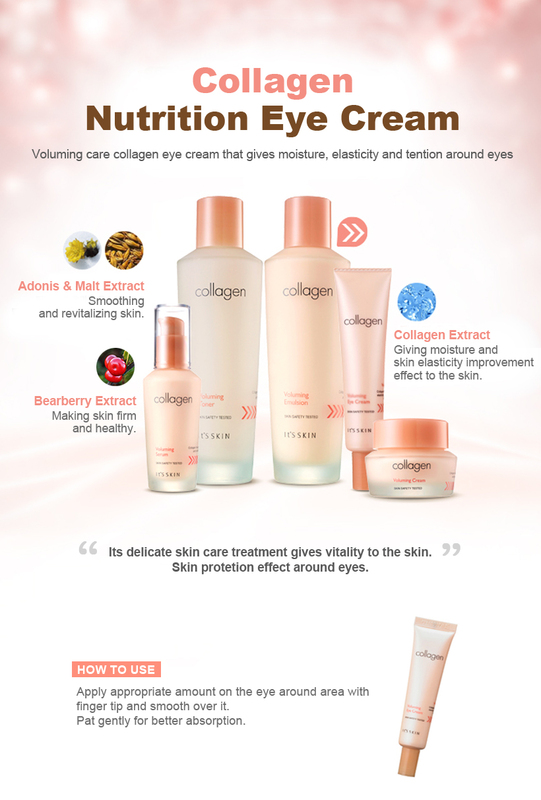 Voluming care collagen eye cream that gives moisture, elasticity and tention around eyes. 2. Its delicate skin care treatment gives vitality to the skin. 3. Skin protetion effect around eyes. Apply appropriate amount on the eye around area with finger tip and smooth over it. Pat gently for better absorption.